From crunchy and sweet quinoa granola to breakfast Banh Mi sandwiches, these recipes are modern and fun interpretations of classic brunch dishes. 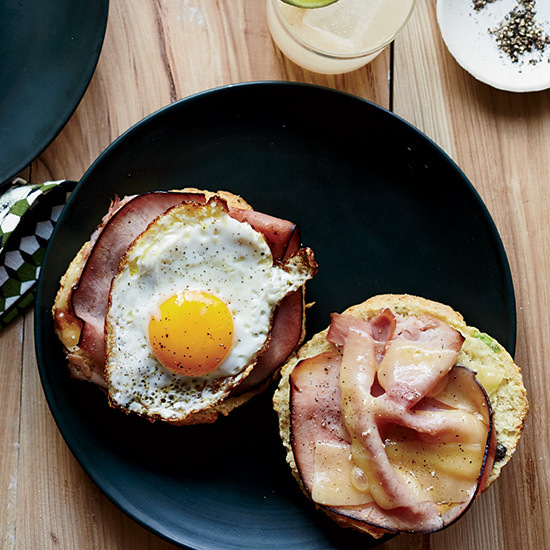 F&W’s Justin Chapple poaches a dozen eggs at once in a muffin pan in the oven, making his cute and tasty breakfast sliders extraordinarily easy to prepare for entertaining. 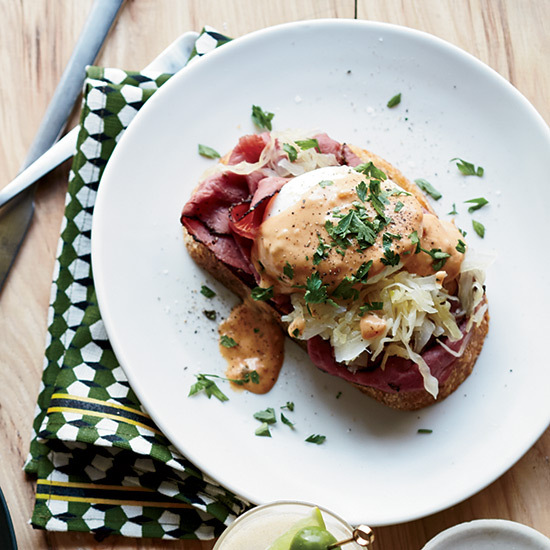 This outrageous take on the brunch favorite includes rye toast, corned beef, sauerkraut and tangy, sweet Thousand Island dressing–style hollandaise spooned over poached eggs. 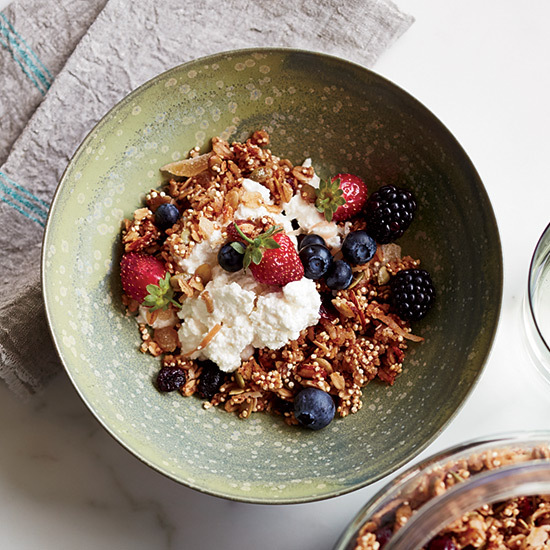 This brilliant granola is studded with quinoa, pumpkin seeds, dried fruit, and spicy and sweet pieces of candied ginger. It’s great with yogurt or granola. 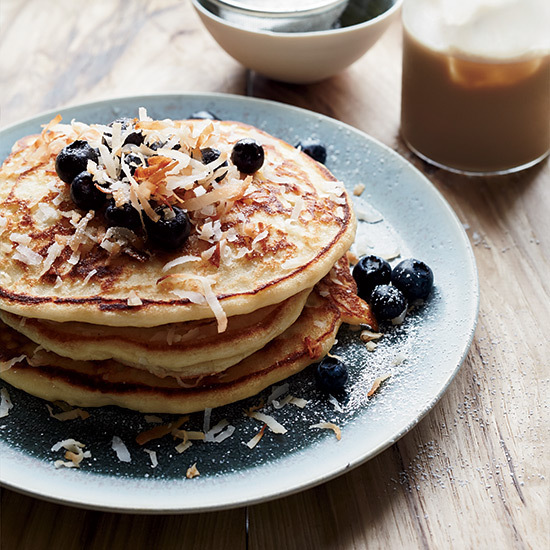 Shredded coconut, sprinkled onto the batter and then layered in between, is key to these sensational, tropical-flavored pancakes. Scallion-flecked buttermilk biscuits help make these breakfast sandwiches—stuffed with ham, cheddar cheese and fried eggs—so outrageously good. 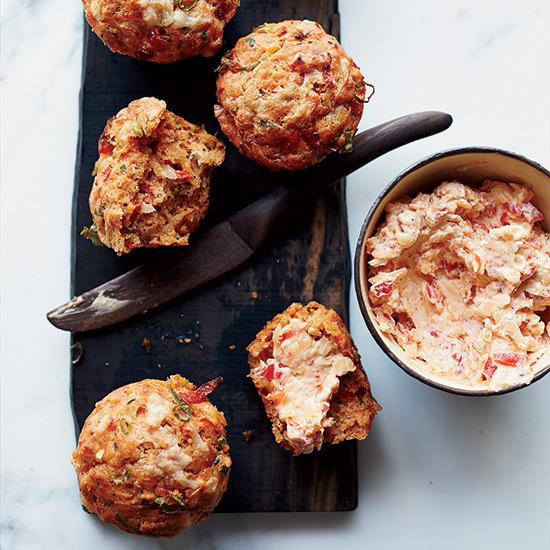 For anyone who loves muffins and cheese, these spicy pimento cheese muffins are a dream. 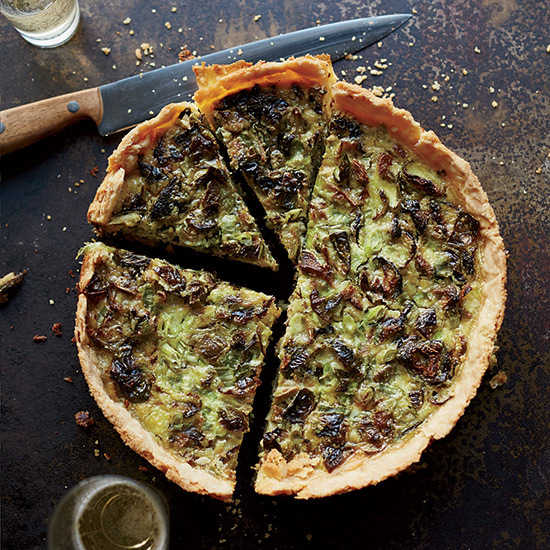 This delicious quiche features roasted brussels sprouts and Gruyère in a silky custard. 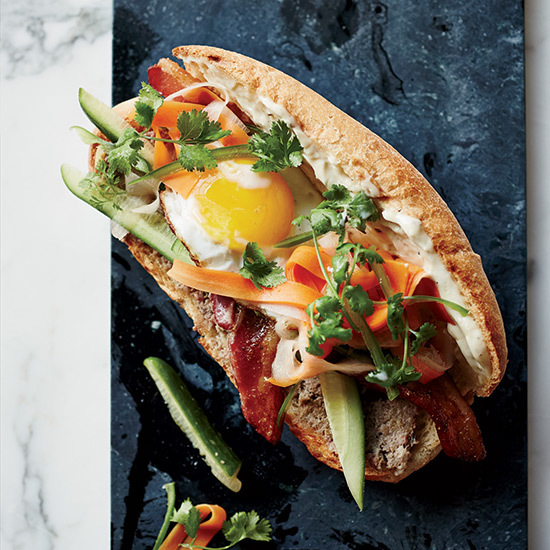 This fantastic version of the Vietnamese classic features crispy, sweet-spiced bacon and a fried egg tucked into the baguette along with pâté and spicy vegetable pickles.